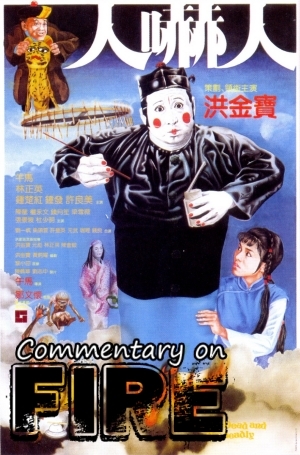 Kenny B and Tom K-W enter the commentary booth to examine Wu Ma’s supernatural comedy shenanigans in The Dead And The Deadly, starring Sammo Hung, Cherie Chung and directed by Wu Ma! An important entry in the wake of Sammo’s Enconuter Of The Spooky Kind? For those without the dvd, you can find the commentary timed to video, in 2 parts, here. Contact the show via email at podcastonfire at googlemail.com, via our forum (containing EXCLUSIVE content and announcements! ), Facebook page , Facebook group (NEW) or Twitter (@podcastonfire, @sogoodreviews) and SUBSCRIBE to the Podcast On Fire Network iTunes feed!